Since she left college, Erica (Hayley Orrantia) has clocked a lot of hours watching TV game shows, an obsession that compels her to audition for her favorite one in a new episode called (spoiler alert!) “I Lost on Jeopardy!.” Meanwhile, a new crush leads Barry (Troy Gentile) to realize there’s a very good chance he’s still not over his ex, Lainey. Shayne Topp, Noah Munck and Matt Bush guest star. 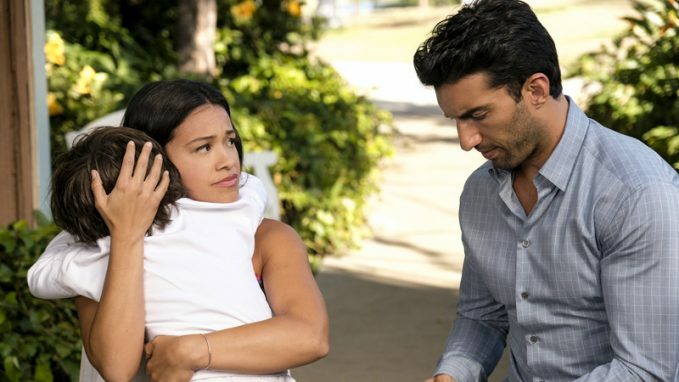 Jane (Gina Rodriguez) finds getting over the latest hurdle life has put in front of her to be a lot more challenging than either she or Rafael (Justin Baldoni) might have hoped in the new “Chapter Eighty-Four.” Rogelio (Jaime Camil), meanwhile, is in for a rude awakening when he discovers that he and River (guest star Brooke Shields) aren’t as equal as he previously had thought. Squabbles between Jane and Petra’s (Yael Grobglas) kids bring up issues about how the two women really feel about each other. 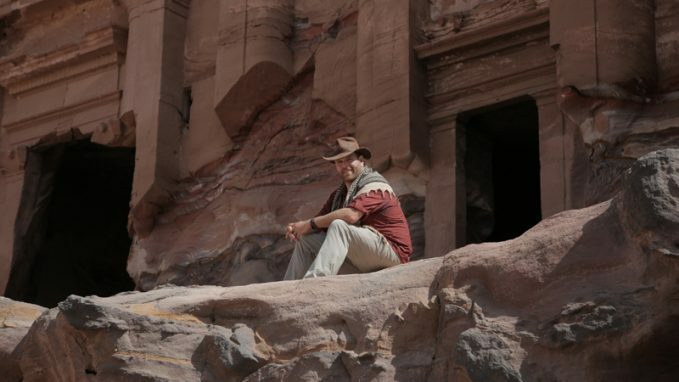 He hosted a high-profile live special from Egypt earlier this week, and now explorer and adventurer Josh Gates returns to tackle new mysteries in new destinations in Season 5 of this hit series. Josh begins his new adventures in Germany, where he launches a search for the fabled Nazi fortune, looted from ill-fated Jewish families and hidden using a code said to have been created by Hitler’s private secretary and then embedded in a piece of sheet music. When you’re a Navy SEAL, there’s no such thing as a routine mission. 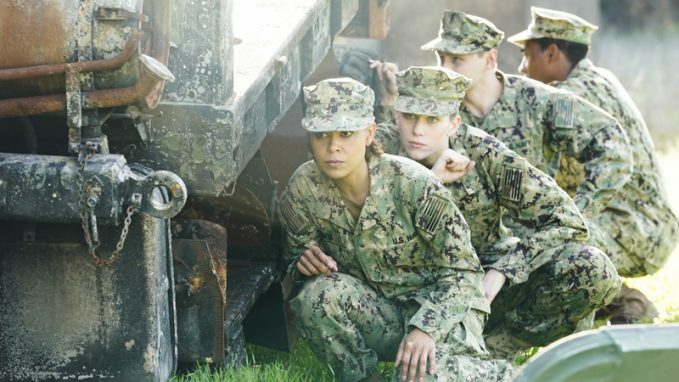 Jason (David Boreanaz) and his team get a reminder of how true that is in a new episode called “Paradise Lost,” which finds the SEALs deployed to what is expected to be a routine training exercise for their Filipino counterparts. Unexpectedly, however, a surprise bomb attack in Manila lands them in dire peril. Tamala Jones, Ellyn Jameson and Lochlyn Munro guest star; Max Thieriot, Neil Brown Jr. and A.J. Buckley also star. Willkommen, bienvenue, welcome! Season 5 draws to a close with “Life Is a Cabaret,” a finale set on opening night of Moira’s (Catherine O’Hara) local production of the Broadway musical “Cabaret,” but there’s a sour note even before the curtain rises: Panic-stricken leading lady Stevie (Emily Hampshire) is nowhere to be found. In the midst of all this backstage confusion, David (Daniel Levy) struggles to make an important announcement. 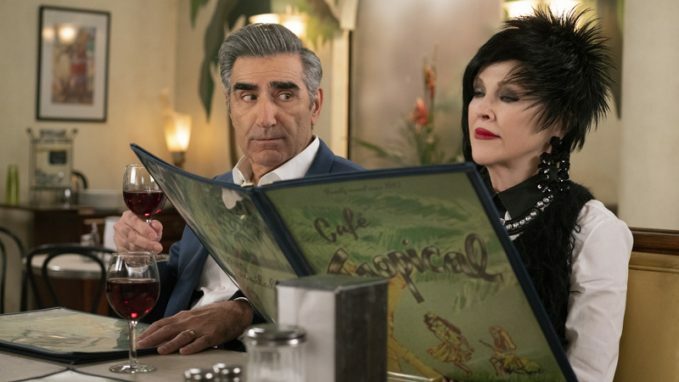 Eugene Levy, Noah Reid and Annie Murphy also star.